Palms are tough abrasion resistant Goatskin. 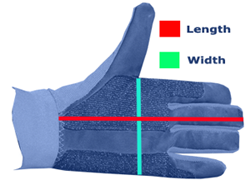 Added padding on the inside of the thumb so that leaders don\'t get caught on seams and to add strength to that area. Oversized Velcro tabs to keep the end of the flap tight so that it doesn't get caught in the leader. These gloves have tough abrasion resistant fabric and padding for wrapping leaders and lightweight material fingers that offer great feel and sensitivity. 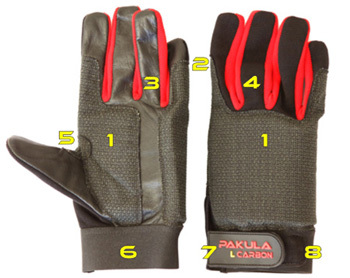 The Pakula Solo Game Fishing Gloves eliminate the need for multiple pairs of gloves.